A photo may speak louder than 1,000 words, but sometimes words help a photo become even more powerful. Yesterday we published a new photo that was taken during the recent production of our next social action documentary film. Within just a few minutes, it had become the most popular photo we’ve ever published and people wanted to know the story behind it. Children pause from playing in Yida Refugee Camp to see a photo of themselves for the first time. Photo by Katie Barber. Katie recently joined our film team and took this powerful photo while we were in Yida Refugee Camp. Yida sits right on the international border that divides Sudan and South Sudan. The camp has exploded in size with refugees fleeing from the Nuba Mountains of Sudan due to widespread government attacks against unarmed communities. Today, over 70,000 people call Yida home. Our film team recently spent several days in Yida shooting our 4th social action documentary film about the crisis in Sudan and the amazing people living through it. Many of these people are children who have been separated from their parents, or even worse, watched their parents die. 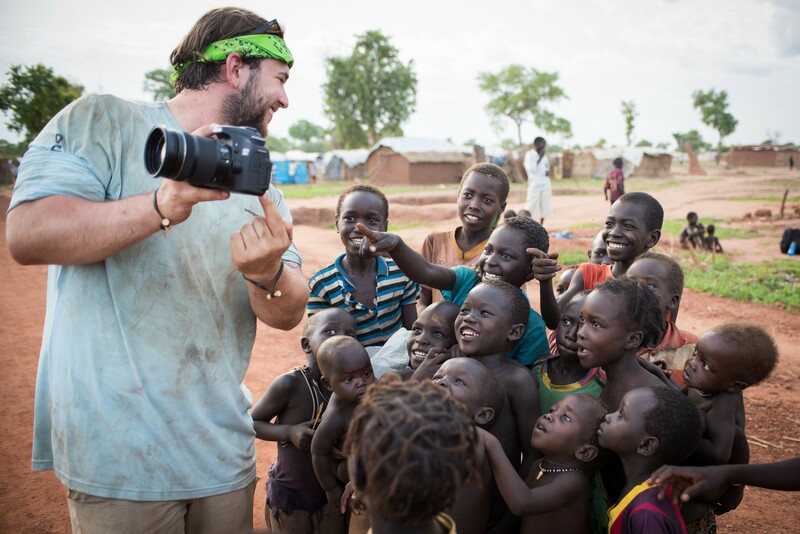 One of the great joys of filmmaking in Sudan is the sheer number of moments like these our teams get to capture. Despite the deplorable human rights situation in Sudan, sometimes all it takes is a camera screen and a game of tag to lighten the mood. At the end of the day, kids still play like kids. And that’s something the genocidal government of Sudan can never take away. The people of Sudan are overcoming two of the greatest challenges facing humanity today: war and genocide. Operation Broken Silence is working to accelerate their ability to generate lasting change through storytelling, education, advocacy, and emergency relief programs. We know that when people around the world see what is happening in Sudan, they will respond. You can receive monthly updates about this film we are creating and learn how to get involved by pitching in $10 towards our post-production costs. Give here. Operation Broken Silence is a registered 501(c)(3) nonprofit organization. Your gift towards the creating of our next film is tax-deductible.